The Mae Fah Luang Foundation has begun conducting surveys at Mae Ra Moe [Mae Rama Luang] and Mae La Oon refugee camps in Mae Hong Song province to gauge resident opinions on where they hope to live in the future. 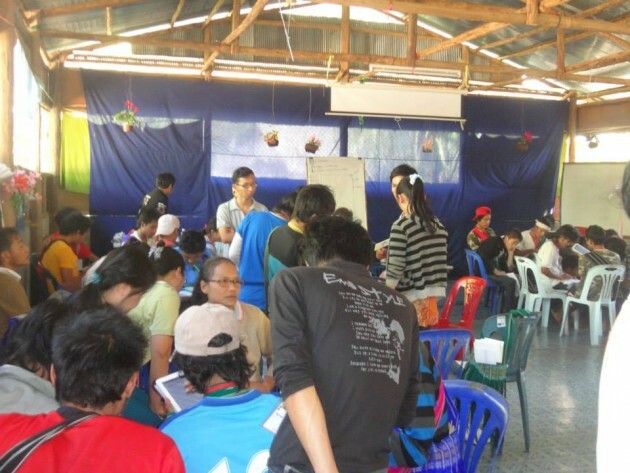 More than 70 MFLF-trained refugees started gathering data on February 3 as part of a month-long project to assess how refugees feel about the prospects of repatriation, resettlement, and continued residency in Thailand, said Saw Rain, a resident who attended the training. The survey takers are paid 200 Thai baht for every six household surveys completed, Saw Rain said. Only refugees over the age of 15 are eligible for interview. Saw Tu Tu, an officer for the Karen Refugee Committee’s northern area, told Karen News that the MFLF is also soliciting questions in the two Mae Hong Song province camps about refugee vocational skills, which will then be submitted to the United Nations High Commissioner for Refugees. “According to Mae Fah Luang Foundation, the schedule is to complete the survey from Mae Ra Moe and Mae La Oon refugee camps by the end of this month. However, the Foundation does not take any responsibility for what refugees need. They will also continue to conduct the survey to other refugee camps after these two camps,” Saw Tu Tu added. Surveys undertaken by the MFLF last year in Mae La and Umpiem Mai refugee camps stoked fears of forced repatriation after some refugees said they were pressured into answering questions. According to the survey results, only 2 % of respondents preferred returning to Burma, while 60 % favored third-country resettlement, and 38 % wished to remain in Thailand and continue following the situation. “Most of the refugees from our camp want to resettle to third countries, as currently the political situation of Burma is still difficult to speculate on, while the second group still wants to live in Thailand and observe the situation,” Mae La refugee camp chairperson Saw Honest said. The MFLF, founded in 1972 by the late mother of Thailand’s king, is a non-profit organization seeking to promote development. It has been tasked with supporting the UNHCR’s survey projects on refugee livelihoods along the Thai-Burma border.